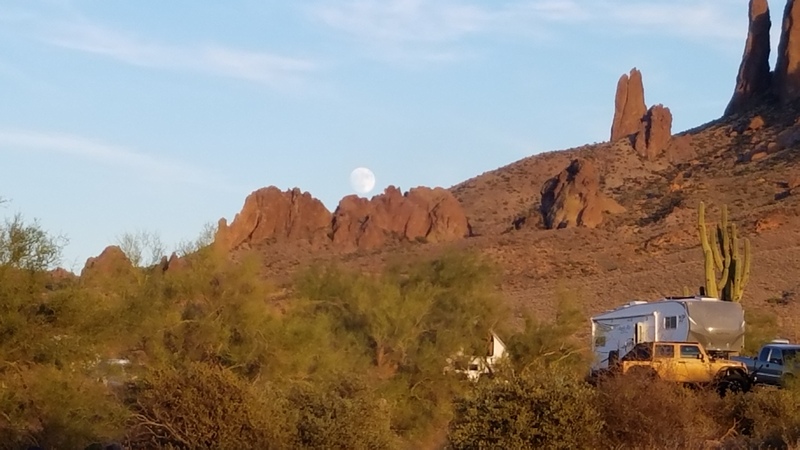 prospecting a super moon at Lost Dutchman – RV Cheaper! 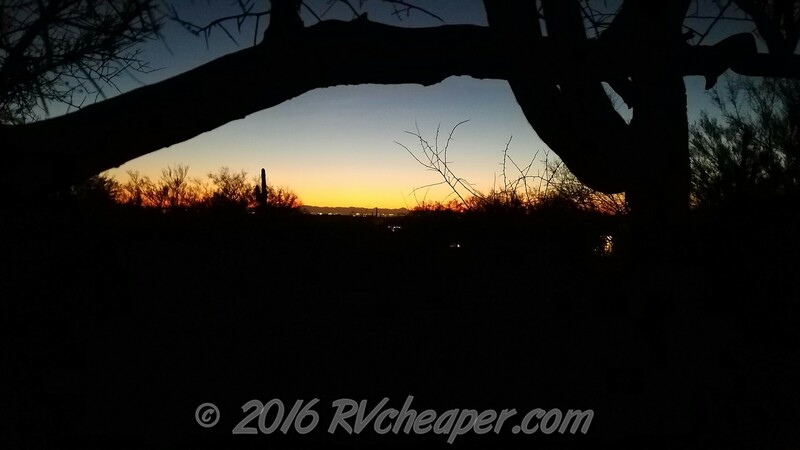 November 12, 2016 June 13, 2017 RV Cheaper! 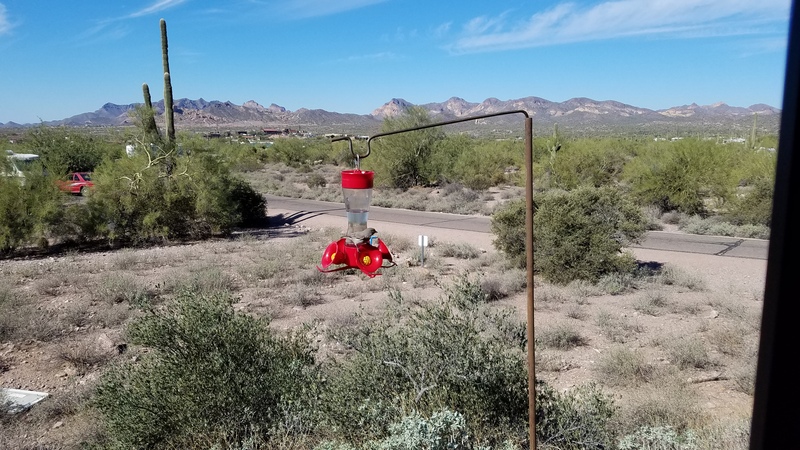 November 2016 and Mike & Michelle were back in Arizona for their annual pilgrimage from the cold of the northwest, beginning the 2 week stints at various Arizona state and county parks. One of the state parks they stayed at was Lost Dutchman. 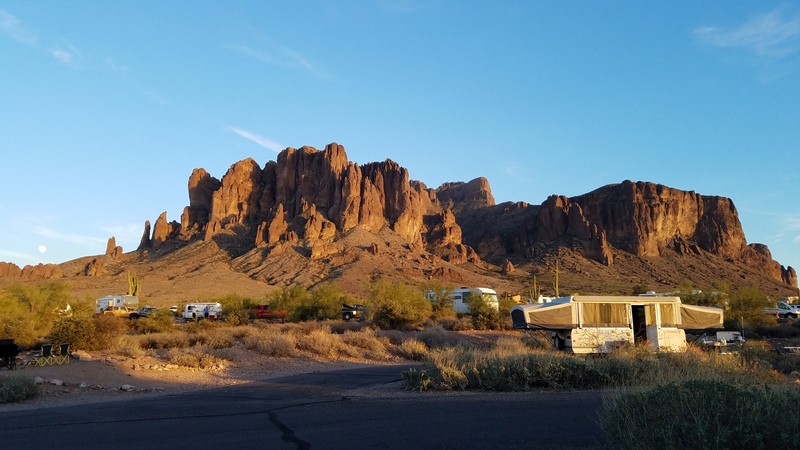 I’ve lived in Arizona since 1964 and I’ve never stayed at this park, a stay at Lost Dutchman was way overdue! Before we left town I noticed a couple neighbors packing for a camping trip, I thought what are the odds we would see them. As it turned out, one of them was in the campsite right behind ours and the other less than 100 yards away so we enjoyed visiting with them for a little while. 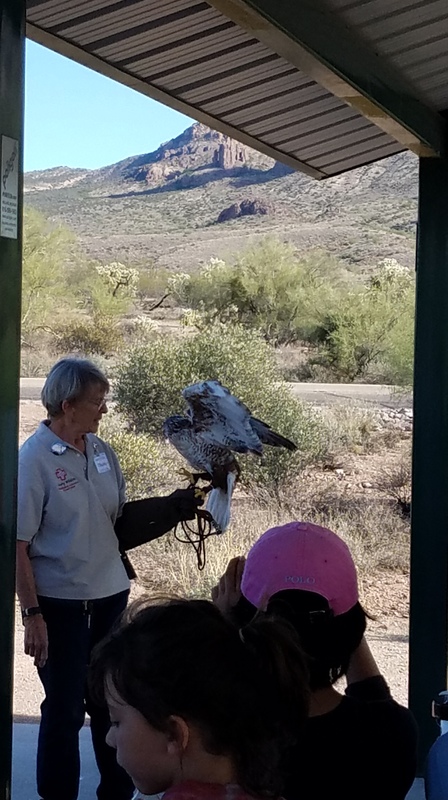 We got to see another birds of prey display like we did at Lake Pleasant but we didn’t get any long hikes or bike rides this outing, just didn’t get to stay as many days as I would have like to. 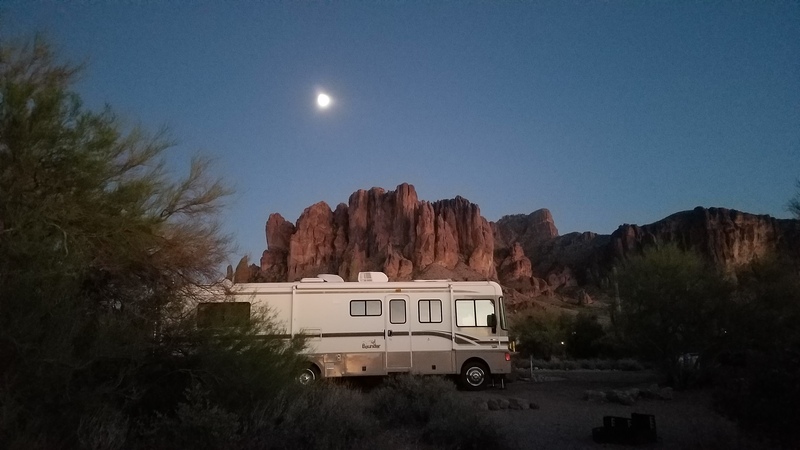 Lost Dutchman State Park is at the base of the Superstition Mountains. The mountain here seems so much bigger from far away, but looking southwest reveals why, we are up about 500-700 feet above the Phoenix suburbs. Mike & Michelle put out a feeder at every stop. Birds of Prey display. They warned us to take off baseball caps and found out just how excited this hawk got when someone came late wearing a cap. 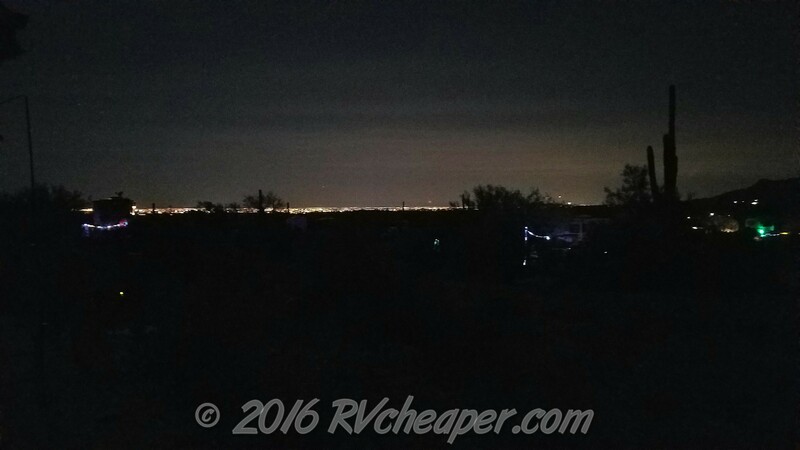 Phoenix and suburbs at night, 7th largest city now.